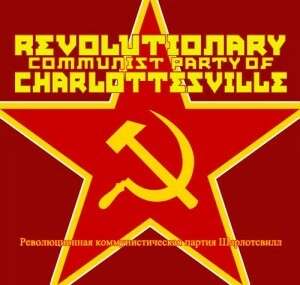 Greetings and welcome to the Revolutionary Communist Party of Charlottesville (RCPC) website. Together we workers will unite and peacefully overthrow the capitalist scum! Long live the Great October Socialist Revolution! RCPC is your source for the people’s power, social justice, and Communist thought in Charlottesville. We plan a Grand Revolution of our own, come join us comrades for brotherhood, freedom, and democracy. Together we will stand against the oppressors, the red banner will fly over our fair city!